You could choose to get a cut-rate insurance quote for your car, home or boat from a faceless insurance company, but we encourage you to seek the extra value the James F. Sutton Insurance Agency provides. Since 1963, We have built our reputation with countless customers throughout Long Island by providing personal service and thorough explanations of the solutions we offer. We enjoy drives along the ocean and adventurous rides on our motorbikes. We enjoy free time at the beach with the wind and salt in our faces. We also enjoy leisurely time on our boats and personal watercrafts that are common to Long Island waters. At any moment, though, these good times could be interrupted by an accident or other incident. Protect yourself by insuring your vehicles with insurance policies that have been specifically tailored to your needs. Our team of insurance professionals is prepared to help you identify your risks so you can choose the right car or boat insurance policy. We can also help you cover all of your other vehicles, including yachts, snowmobiles, Jet Skis and RVs. Our family owned agency understands how important it is to protect the ones you love and the life you have built. We will work hard on your behalf to tailor a home insurance policy or condo/renters policy that will protect you in the event disaster strikes your home or you face a lawsuit because someone is injured on your property. We will also discuss with you the potential need for an excess liability policy, or umbrella policy. You have worked hard to acquire the possessions that make life enjoyable. You owe it to yourself to protect them. Homeowners and renters who own fine jewelry, artwork, antiques and collectibles, musical instruments and electronic equipment may want to consider adding insurance coverage specific to those valuable items since standard renters and home policies may be limited in the protection they provide. Not only can we help you protect what you own – house, car, boat and property – but we can help you protect and invest in your future. Look to James F. Sutton Agency for life insurance to protect your loved ones, no matter what your age or stage of life. 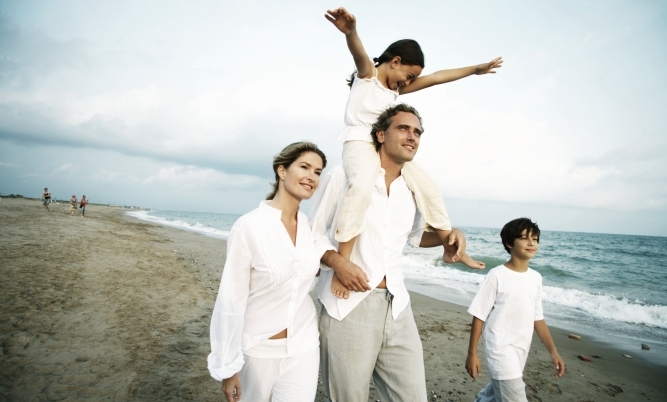 Young families and empty nesters alike may benefit from the solutions we provide. We can help you understand the difference between term life insurance and whole life insurance and how effective they can be in providing peace of mind for you and your family. The Sutton Agency can assist your family with much more than home and auto insurance. Consult us for all your investment needs, including 529 college savings plans and retirement planning. Contact the local independent agents at James F. Sutton Insurance in East Islip and receive a no-obligation quote for auto and boat insurance or for your home, personal property and umbrella insurance needs. We are very proud to service the insurance needs of the people of Long Island.